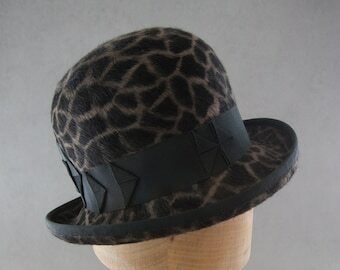 This quirky, unique asymmetrical fedora is not for the shy hat wearer! 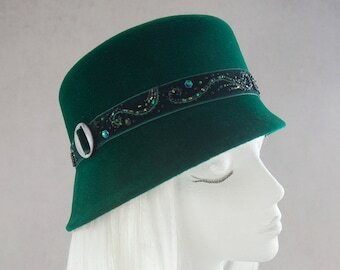 A tall crown and unique brim styling are bound to attract attention. 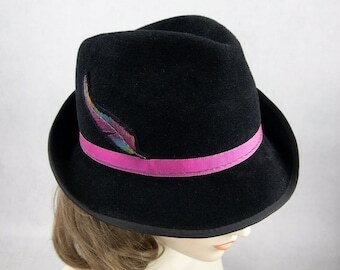 Perfect for any girl who is not afraid to have some sass in her step as she walks by in a one-of-a-kind hat. 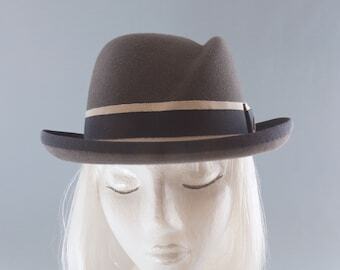 This fedora was blocked by hand on a vintage hat block and further shaped/styled by hand. 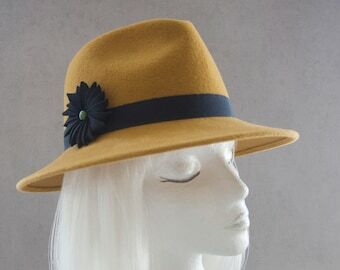 In a beautiful chocolate brown fur felt. 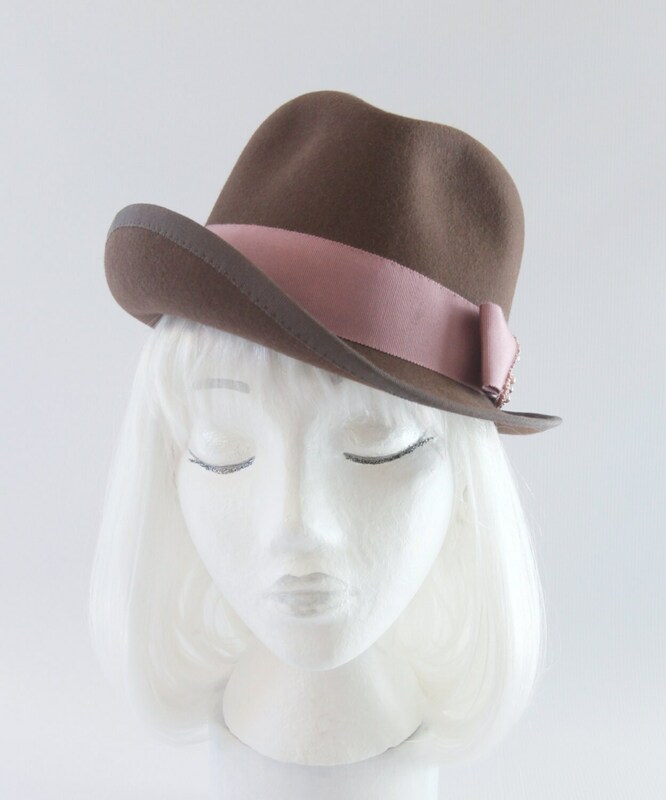 Featuring a pink/mauve grosgrain ribbon with pink seed beads and freshwater pearls for a feminine touch. 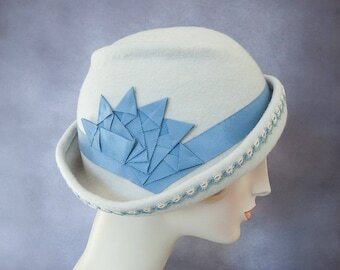 The brim is wired to hold its shape and bound with a matching brown grosgrain ribbon. 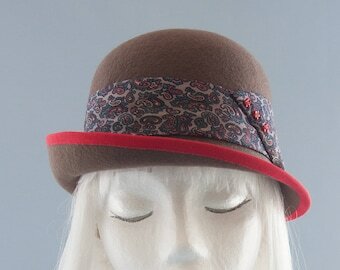 Finished inside with a brown grosgrain head-size ribbon and Silverhill Creative Millinery label. Best suited to head sizes 21"-22.5". 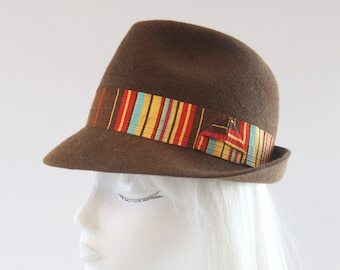 May be worn tilted (first photo) for larger head sizes or straight on (fourth photo) for smaller head sizes.